Finally, summer is over and you can put away the lawn mower. But, maybe it’s time to think about next year and look into having a Smart Yard. Most of our activities occur outside during the summer, so shouldn’t you add intelligence to the yard; especially if it can save you time and money—both of which you can use to enjoy more of your yard. Like their indoor counterparts, every smart yard device either senses the environment around it, and/or automates a task. Why cut the grass when your smart mower can do it for you? Forget the hard backbreaking work. Kick back with a decanter of lemonade and let your smart mower handle the lawn cutting. 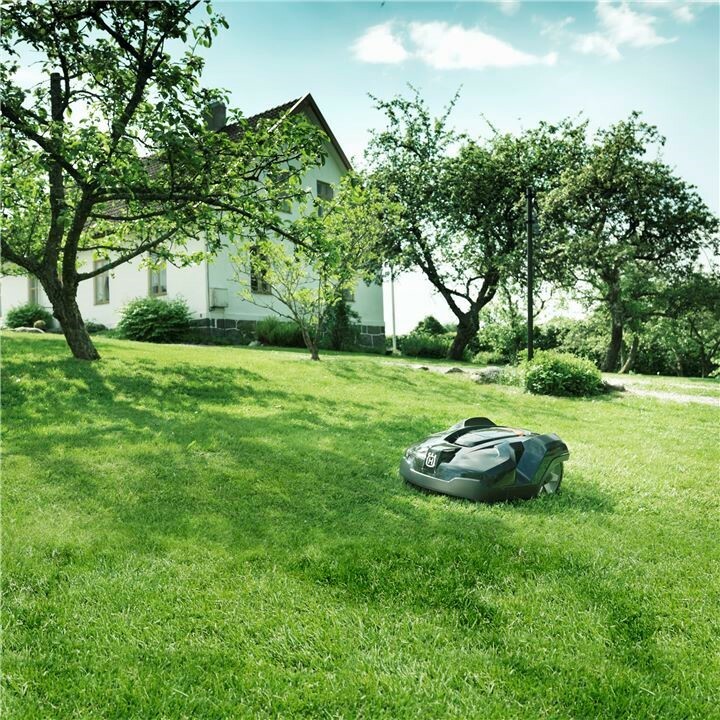 Employing a robotic lawn mower allows your lawn to be mowed automatically day or night. The best part is that you don’t even have to be there. One such mower is the Husqvarna Automower, which is able to maintain half-acre lawns in any weather. It can even handle slopes up to 35%. When it meets an obstacle it stops and redirects itself, similar to the Roomba vacuum. It also knows when it needs to be charged, and it returns to the charging station. Using a settings control panel, the robot mower allows you to set it and forget it. What can be easier? When left to operate by itself, it has an anti-theft system so that you don’t have to watch it all of the time. Because of the blade’s efficient operation, the operational costs are a fraction of regular mowers. If you are an environmentalist, you’ll like the fact that the mower does not produce harmful emissions, because it is electrically powered. 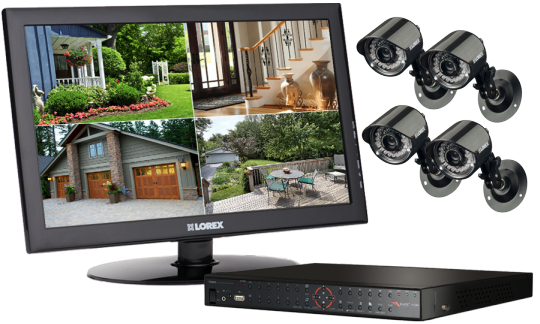 Most home owners install security systems in their home without giving any thought to the property outside. This is something that most home owners can do themselves. When installing cameras, mount them at least seven feet above the ground. The higher position gives you a better viewpoint covering more area. Instead of mounting the cameras facing forward, mount them off to the side, extending the view farther from the house, making it possible to detect a person as soon as he or she enters the immediate area, whether it is a delivery person or someone with mal-intent. NETGEAR partnered with Samsung so that its Arlo smart home security cameras can integrate with the SmartThings platform. You can control your exterior camera system, using the free app on your smartphone, and connect the SmartThings Hub to your Internet router, while adding as many smart devices as you'd like to personalize your smart home. Use flowers as part of your Smart Yard. Flowers, you ask? The principle is simple. You steer away from shallow-rooted plants and select ones with deeper roots that do a better job retaining runoff, and you use lots of mulch. 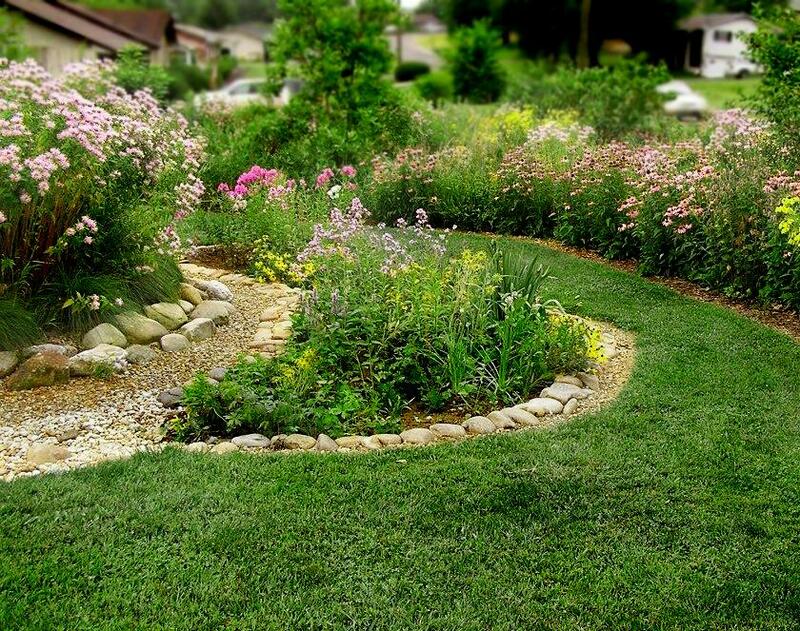 Choose plantings that thrive in your region so they need less care and water. Learn how to use nature's best pesticides—predatory insects that can destroy harmful pests. 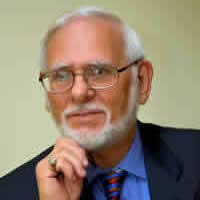 The concept is to save water and reduce harmful pesticides. This is really an environmentally smart yard. There are sensing devices that you can place into the dirt near a plant, where they gather information on the surroundings and send it to your phone, tablet or computer, to make you a more informed gardener. Even the simplest plant sensor measures soil moisture, and compares that against a plant database to give you specific advice about when to water the plant. The more advanced plant sensors measure ambient light, humidity, temperature and levels of fertilizer in addition to the basic moisture readings. They can measure multiple plants at once, allowing a single sensor to watch a whole garden. Using weather reports and information from your garden, a smart sprinkler system can help you save water by watering your lawn as needed but not when it is raining. 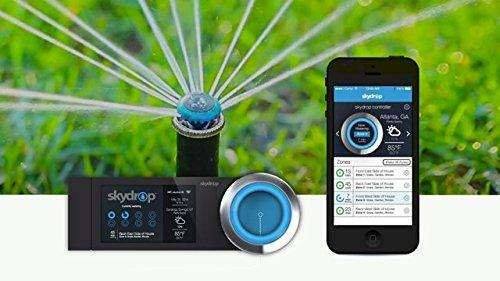 With a smart sprinkler system, you don’t have to keep adjusting a manual method. Such a system customizes watering based on current hyper-local weather data to make sure your lawn and garden get exactly the water it needs, across each distinctive zone. You can save up to 50% of your outdoor water use while keeping your plants healthy. Smart and water wise. If your existing outdoor lighting consists of a couple patio lights and maybe a flood light over the driveway, all controlled by light switches, then switching to smart outdoor lighting is very simple. 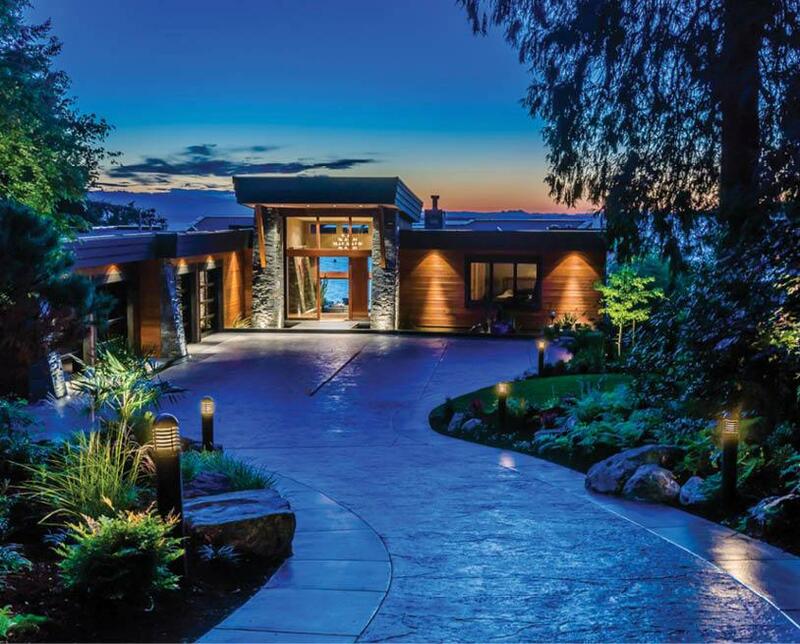 Just swap out the switches that currently control the outdoor lights with wireless smart switches and add a smart home hub, such as the Lutron Caseta Smart Bridge, SmartThings or Wink and you’ll be all set. Just add the switches or dimmers to the app, set up your scenes and timers, and your outdoor lights will then be part of your smart home system. Smart lighting can be a great addition to any home security setup. With remote control, a home owner can make it look like someone is present or brighten-up dark areas around the house. The Maximus Smart Security Light doesn’t just alert potential intruders that there might be someone home, but can actually catch them in the act, because the light fixture contains a 720p HD security camera. The camera allows a home owner to view real-time video, using the free Kuna app for iOS and Android devices. Because the Maximus Smart Security Light is a Wi-Fi enabled outdoor light, it can be accessed remotely via the app, and the camera images can be viewed from almost anywhere in the world. The Maximus Smart Security Light also features a PIR motion sensor, which can trigger a recording when someone is near. It will also send a warning to a portable device, so that the home owner can talk with whomever is at the door, using the light’s two-way audio system. The home owner can also sound an alarm from their smartphone. Along with outdoor security, a Bluetooth connection can control a door lock. The lock automatically opens up as the owner approaches. It also works with a key should your phone’s battery run out. iPhone owners can use Siri to lock and unlock doors using voice commands or the lock will work with the Apple Watch. Now, a home owner can unlock the door while occupying their hands with grocery bags. iPhone owners won’t even have to take their phone out of their pocket. The August app will also grant access to people, whom the home owner would normally give a spare key to. Create virtual keys for family and guests. Choose to grant access for a few weeks, a few hours, a few minutes, or even specific dates and times. Delete guest access any time in an instant. It’s pretty awesome. The internet of things is coming to make your yard smart. The market for systems that can connect your yard may be new, but it’s already proving to be exciting. The next 5-10 years will be very interesting.